Calcium is the third element of the alkali-earths metals group with chemical symbol Ca and atomic number 20. 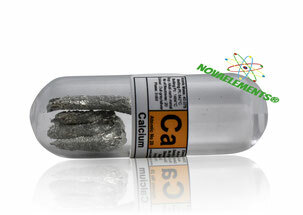 Calcium metal is a strong silvery white solid at normal pressure and temperature, it is a very strong metal. Calcium reacts with the air very slowly, instead reacts with hot water producing pure Hydrogen gas. 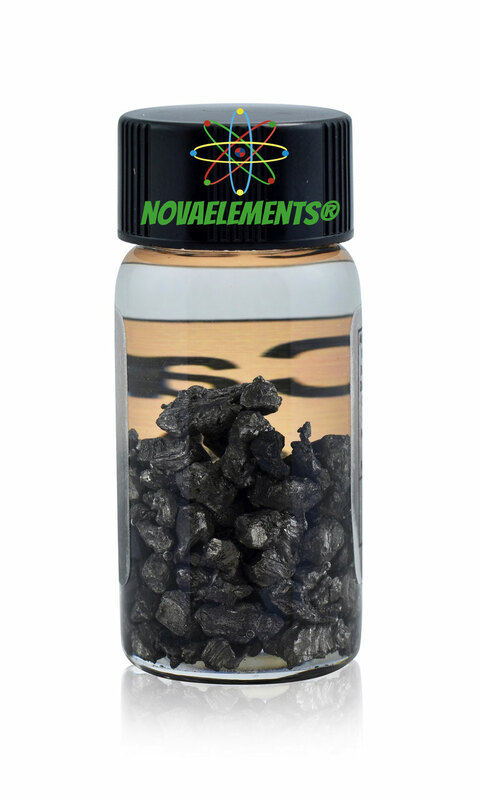 Calcium is the first alkali-earth metal that must be put under High Quality mineral oil to prevent oxidation. 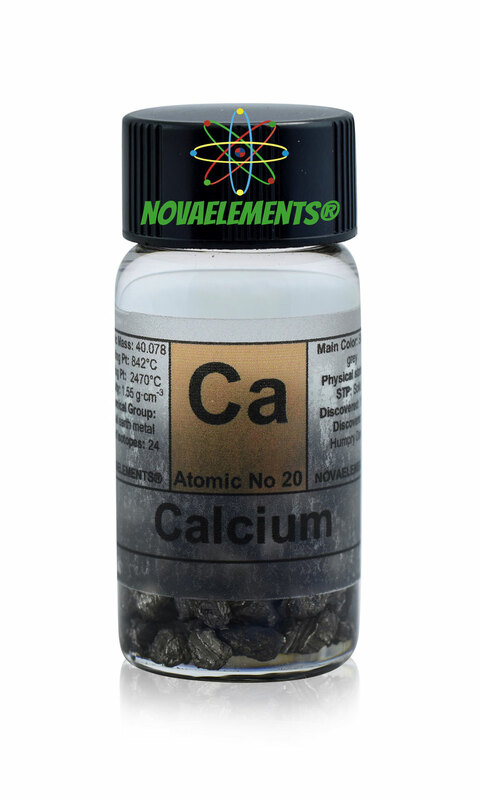 High purity Calcium metal element 20 sample of 3 grams in glass vial under mineral oil. 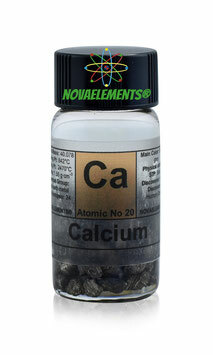 Pure Calcium metal sample.